Lock in a great price for The Cliffs at Princeville – rated 8.7 by recent guests! Condo was nice and spacious, had great amenities, and location. They had food trucks that visited a few nights a week which was great because there wasn't a ton of restaurants nearby. They also had basketball, pickleball, and shuffleboard equipment you could check out for free. We had a wonderful stay. I loved how they had beach towels and beach chairs and a full kitchen. It was like a condo experience. LOTS of space and a washer and dryer. It would be a great place for a family to come and stay a week. Loved the bluff and chairs overseeing the ocean there. The room was great,1 bdrm, two bath. Had a full kitchen. Had a coffee pot, full refrigerator and ice? Clean and spacious. Second floor had a nice garden/tree view. The one bedroom with kitchen is equipped with everything you will need for cooking and preparing meals. 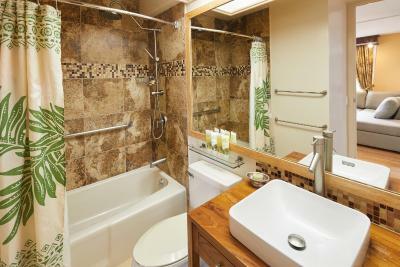 Bathrooms are stocked with nice shampoo, conditioner, body wash, and soap. Second floor room was free of mold/mildew smell. Washer and dryer is very nice to have! The bed was very comfortable and the furniture, space, TV and balcony with a water view were all very nice! The kitchen was well outfitted with appliances and prep dishes, leftover storage and all the needed dishware. The room was beautiful! The people are lovely and the extra things they offer at the Cliffs are wonderful -- we enjoyed food truck night (tacos), the fresh fruit market and the hot tub. The views are fabulous and the location is stellar! Beautiful condo, great location and very comfortable and spacious. We were not planning to stay at The Cliffs but booked last minute when we were stranded by flooding and couldn't get back to our Air BNB. It rained torrentially (Hurricane Lane) for the two days we were there so we didn't really explore the amenities. But the rooms were great and well equipped. The best thing was the team on Reception. They were friendly, very helpful and put themselves out to sort out a muddle I'd made with the last minute booking. 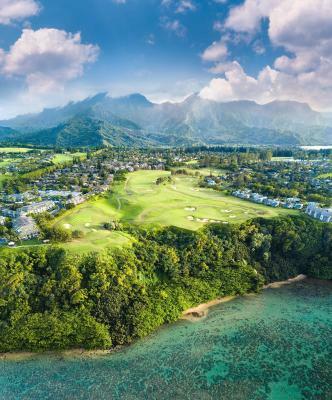 The Cliffs at Princeville This rating is a reflection of how the property compares to the industry standard when it comes to price, facilities and services available. It's based on a self-evaluation by the property. Use this rating to help choose your stay! 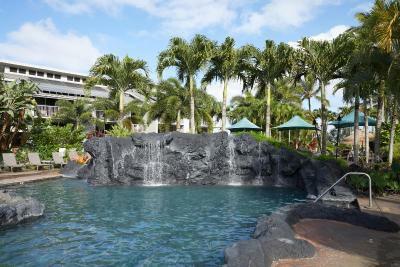 One of our top picks in Princeville.Located on the North Shore of Kauai, this resort features 2 swimming pools, a children's pool area and 2 hot tubs. 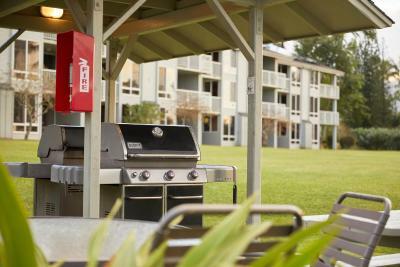 Full kitchens are provided in all suites. Princeville Golf Course is 1 miles away. All of the spacious suites at The Cliffs at Princeville include 2 private balconies with panoramic garden views and free Wi-Fi. 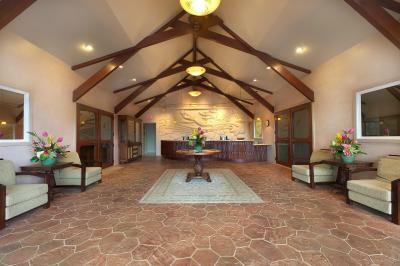 Guests can cook a full gourmet meal in the fully equipped kitchens and then enjoy their meal in the dining area. A TV, an iPod docking station and a washer and tumble dryer are provided in each suite. 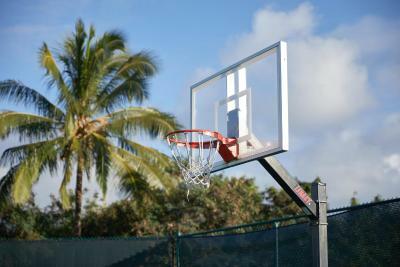 Guests of The Cliffs have access to 2 tennis courts, a half-court basketball court, a pickleball court, 2 shuffleboard courts and a children's playground. 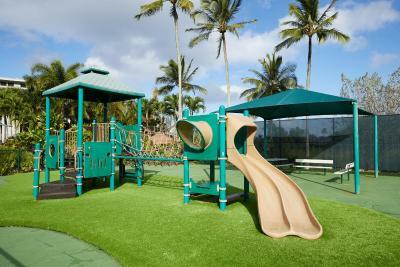 A concierge service is available to assist guests with all things Kauai, including recreational activities and special requests. 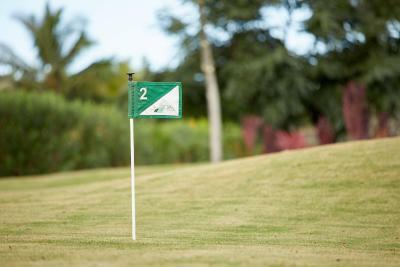 For golf enthusiasts, a putting green with a sand trap is available. 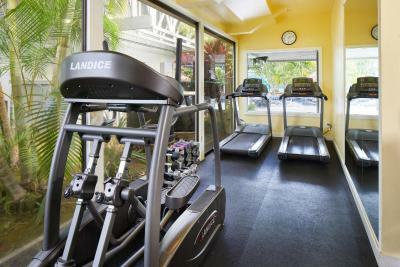 Guests can also hire bikes to explore the surrounding area or work out in the fitness center. 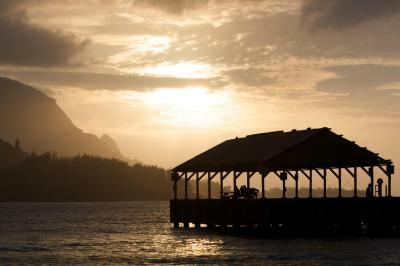 Hanalei Bay and the Na Pali Coastline are within 10 minutes’ drive away from this resort. 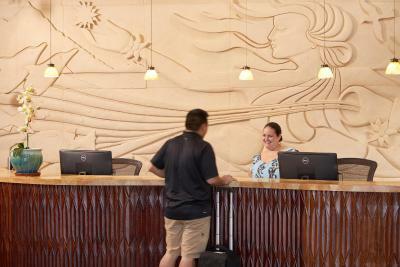 Lihue Airport is 48 minutes’ drive away. 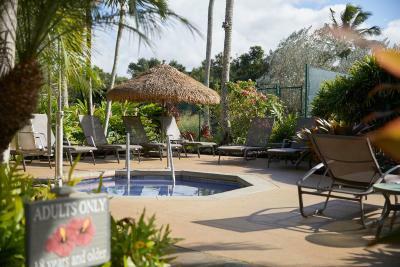 This property is also rated for the best value in Princeville! Guests are getting more for their money when compared to other properties in this city. 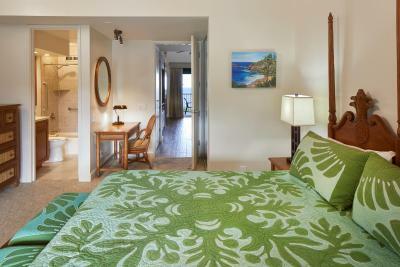 When would you like to stay at The Cliffs at Princeville? Offering free Wi-Fi, this spacious suite features a full kitchen, 2 full baths, 2 private balconies, a separate living room and a private master bedroom, a TV and an iPod docking station. Offering free Wi-Fi, this spacious suite features a full kitchen, 2 full baths, 2 private balconies, a TV and an iPod docking station. A washer and dryer are included. 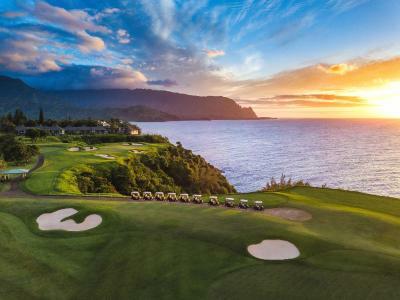 House Rules The Cliffs at Princeville takes special requests – add in the next step! A USD225 damage deposit is required on arrival. This deposit will be fully refunded 7 days after check-out, as long as there isn't any damage to the property. 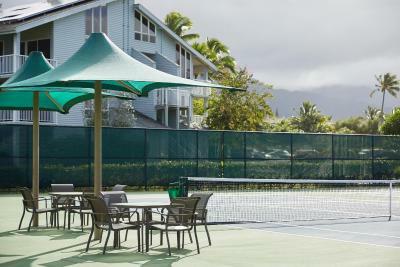 The Cliffs at Princeville accepts these cards and reserves the right to temporarily hold an amount prior to arrival. Please inform The Cliffs at Princeville of your expected arrival time in advance. You can use the Special Requests box when booking, or contact the property directly using the contact details in your confirmation. The kid friendly hot tub was not working our entire visit, but staff and other guests were accommodating to have them join us in the adult only hot tub. The condo needs an update, the carpets were dirty in the bedroom and next day they try to clean them using heavy chemicals that made me sick! I did not mind that there was not daily housekeeping, but I think this could have been clearer on the booking site. It is more of a condo/AirBNB type place, which I think could be a big selling point! 1) No A/C and this is not called out in info. 2nd floor & OK when doors and windows could be openned. But at night was warm & stuffy. 2) photos show distant ocean view and that’s what we expected. Instead had a wall of jungle to stare at. 3) other members of our group had less expensive but far nicer condos in other nearby resorts with better views and better features. Just a few minor glitches, but overall fabulous. I like being able to walk to the cliff to watch the sunrise and sunsets. The place had everything we needed and felt spacious. Wish our unit would have had an ocean view. Very comfortable unit. Nice amenities. The neighborhood was great. You could have wonderful walks around the community. The Princeville Center for groceries was in walking distance. Everything very clean and taken care of. A little dated, and could have been a bit cleaner, but all in all was good. The front desk woman that helped us was not entirely friendly. She did not mention any WiFi information or provide us with a map of the property. My only minus was I had to vacuum the room before I left. Comfortable room with kitchen, tv, and laundry services which was a bonus if you had been travelling a while. The Staff were amazing super friendly and helpful helped us book horse riding on the island. Also loved how they organised farmers markets and food trucks so if you were tired after a long day you didn't have to drive anywhere for food. Would have loved a late check out as our flight was not until midnight. Our request for late check out was met with a 1/2 hour extension to 10;30 am and there were no facilities that we could use for a shower and change later in the day, though several nearby resorts do offer a 'hospitality suite' for this purpose. We liked the location very much. The unit was well equipped and convenient. 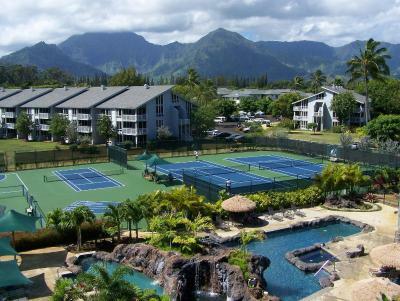 We spent most of our time off the resort itself so did not use facilities much, but looked like there were good tennis courts.